Twenty years ago, on December 20, 1983, Donald Rumsfeld, currently the U.S. Secretary of Defense, met with Saddam Hussein during the first of Rumsfeld's two now-famous visits to Baghdad. At the time, the United States was courting Iraq as a buffer to the greater threat the Reagan administration perceived in the Islamic Republic of Iran. As has now been widely reported, the U.S. had already been providing the Iraqi regime with intelligence and other support in its war with Iran. Within a year of Rumsfeld's first visit, Baghdad and Washington had re-established diplomatic relations. 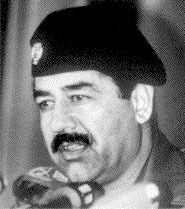 In light of recent developments in Iraq, most importantly the capture of the former dictator himself, the National Security Archive is posting a compilation of newly declassified documents from American and British sources as part of its new Web product, The Saddam Hussein Sourcebook. The documents below, which come from the Freedom of Information Act, the U.S. National Archives and the British Public Record Office provide further fascinating details about the secret history of U.S.-Iraqi relations from the late 1960s, when Hussein emerged as the real power in Iraq, to the 1970s, when Henry Kissinger began probing Baghdad about a warming of relations, to the 1980s, when the U.S. government and private businesses forged ahead with improved ties despite widespread proof of Iraq's repeated violations of international law through its use of chemical weapons. The full record of the U.S.-Iraq relationship is not yet accessible to the public. But as the situation on the ground in Iraq and the Persian Gulf continues to evolve, and as American understanding of the nature of U.S. alliances and allies deepens, the need for fuller access to the historical record will only grow. As the Houston Chronicle noted in its December 17, 2003, editions, "a spirited examination of our nation's murkier alliances needs to be constantly, and most often publicly, re-examined. Attention: Riyadh, Cairo, etc." Source: Public Record Office, London, FCO 17/871. 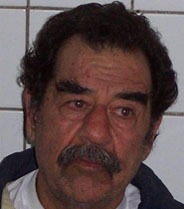 Saddam Hussein's rise to leadership of Iraq took a significant step in November 1969 when he assumed a number of senior posts in the Ba'ath Party and Iraqi government. Those promotions occasioned this brief sketch of Hussein by the British embassy in Baghdad, which described him as a "presentable young man" who although seen initially as a "Party extremist" might "mellow" with added responsibility. The British ambassador to Baghdad wrote this fascinating assessment of Saddam Hussein soon after his "emergence into the limelight" as "the recognized heir-apparent" of the Iraqi president in November 1969. At first, Hussein comes across as "singularly reserved" but eventually begins to speak "with great warmth and what certainly seemed sincerity" about various subjects. He insists Iraq's relationship with the Soviet bloc "was forced upon it by the central problem of Palestine," and he reveals an apparently "earnest" hope for improved ties with Britain - "and with America too for that matter." Paragraph 7 of the ambassador's account provides a remarkable portrait of Hussein - "young," with an "engaging smile," "a formidable, single-minded and hard-headed member of the Ba'athist hierarchy, but one with whom, if only one could see more of him, it would be possible to do business." Source: National Archives, RG 59, Department of State Records, Transcripts of Secretary of State Henry A. Kissinger Staff Meetings, 1973-1977. As part of a routine review of world events, Secretary of State Henry Kissinger and his State Department advisers briefly discuss a recent spate of diplomatic activity coming from Baghdad. Assistant Secretary of State for Near Eastern and South Asian Affairs Alfred L. Atherton, Jr. mentions Iraq's nascent attempts at "patching things up" with neighbors and generally "projecting the image of a country that wants to play a very dynamic and accurate [sic] role in the Arab World." Kissinger says this new activity "was to be expected anyway when they cleared [the] Kurdish thing," a reference to the March 1975 preliminary agreement between Iraq and Iran that settled the two countries' border dispute at the expense of cutting off Iranian (and U.S.) support to the Kurds -- with tragic results for the Kurds. Atherton specifically mentions the relatively youthful, 38-year-old Iraqi leader, Saddam Hussein, as someone who bears closer scrutiny by the United States. "Hussein is a rather remarkable person ... he is running the show; and he's a very ruthless and ... pragmatic, intelligent power." Source: National Archives, RG 59, Department of State Records, Records of Henry Kissinger, 1973-1977, Box 13, Dec 1975 NODIS Memcons. This memorandum records the first face-to-face meeting at the foreign minister level between the two countries' governments in several years. Kissinger asked for the meeting in order to probe the prospects for normalizing relations with Baghdad as part of a larger campaign to warm up to the Arab world. He tells Hammadi "we do not think there is a basic clash of national interests between Iraq and the United States." Hammadi responds: "We of course have different views." Chief among them is Iraq's opposition to the state of Israel. Kissinger repeatedly declares that Israel's existence is not up for discussion. "But if the issue is more normal borders, we can cooperate." He paints a picture of diminishing Israeli sway on U.S. policy, partly because of "our new electoral law" which will mean "the influence of some who financed the elections before isn't so great." The two ministers discuss other regional issues and agree there are no obstacles to improving bilateral economic and cultural ties. Hammadi declares: "On the political level, we broke relations for a reason [the June 1967 Arab-Israeli war] and we think the reason stands." However, he agrees to stay in touch. Source: Freedom of Information request. On March 5, 1984, the State Department issued a public statement criticizing Iraq for using chemical weapons in violation of the Geneva accords. This cable describes Iraq's behind-the-scenes reaction delivered by Iraqi Under Secretary of Foreign Affairs Ismet Kittani to William Eagleton, head of the U.S. Interests Section in Baghdad. Kittani's complaint has less to do with the substance of the statement than with Washington's "timing and ... manner" of delivering it. Kittani's sophistication in the use of diplomatic techniques to soften the impact of public criticism, and his awareness of the importance of the media are notable. The bottom line for both sides is that the incident should not stand in the way of improving bilateral relations; formal diplomatic recognition followed in November 1984. Source: Freedom of Information Act request. During a visit to Washington, Iraqi Under Secretary Kittani met at some length with U.S. Under Secretary of State Lawrence Eagleburger. The administration's explicit goal for the meeting was to blunt the impact of the State Department's March 5 public criticism of Iraq's use of chemical weapons. As this cable puts it: "[T]he main message of the U.S. side [is that] our condemnation of Iraqi CW use was made as part of [a] strong U.S. commitment to long standing policy, and not as a pro-Iranian/anti-Iraqi gesture." To "reinforce" the point, Secretary of State George Shultz dropped in on the meeting briefly. "The U.S. will continue its efforts to help prevent an Iranian victory, and earnestly wishes to continue the progress in its relations with Iraq," Eagleburger told his counterpart. Among other steps to improve Iraq's position, Eagleburger indicated he had spoken with Export-Import Bank Chairman William Draper about the importance of financing projects in Iraq - at a time when internal bank objections threatened to scotch plans to provide loans for the Aqaba pipeline. Secretary of Defense Donald Rumsfeld made two trips to Baghdad as Ronald Reagan's special Middle East envoy. The first visit took place in December 1983 (see the National Security Archive's electronic briefing book, "Shaking Hands with Saddam Hussein"), the second in March 1984. This cable offers Rumsfeld some background information in advance of the latter visit, and includes the suggestion that he reinforce the message delivered by Secretary of State Shultz and Under Secretary Eagleburger in their March 15 meeting with Iraqi Under Secretary Kittani (previous document). The cable indicates Kittani remains "unpersuaded" by private U.S. assertions that the recent public statement against Iraq's chemical weapons use was necessitated "by our strong opposition to the use of lethal and incapacitating CW, wherever it occurs." The State Department wants to reassure Baghdad of its interest in improving bilateral ties "at a pace of Iraq's choosing." The Department tells Rumsfeld, "If Saddam or Tariq Aziz receives you . . . it will be a noteworthy gesture of the GOI's [Government of Iraq's] interest in keeping our relations on track." On March 26, Tariq Aziz received Rumsfeld during a brief, six-hour visit to Iraq. (National Security Archive freedom of information requests related to this meeting are still outstanding.) The cable also makes a passing reference to Saddam Hussein's "support and sanctuary for the Abu Nidhal [sic] terrorists" but gives no indication that Rumsfeld should raise the subject with the Iraqis or that it might stand in the way of warmer relations with Baghdad. One version of this document was previously published as Document 48 in "Shaking Hands with Saddam," but that version was entirely missing the second page with the crucial instruction to Rumsfeld that U.S. interests in improving U.S.-Iraq ties "remain undiminished" despite revelations of Iraq's use of chemical weapons. Donald Rumsfeld's March 1984 trip to Iraq and other Middle Eastern countries followed speculation earlier in the month that he was returning to his regular job, running the pharmaceutical firm G.D. Searle & Co. As of the March 9 State Department press briefing partially reproduced in this cable, the Department either had no indication that he was even planning a trip, or was for some reason keeping it quiet. "I think he . . . has nothing in mind for the moment," spokesman John Hughes said, "but we'll see how that turns out." Perhaps because of the speculation that Rumsfeld was "backing off the Middle East and backing into Searle," his visit to the region did in fact take place before the end of the month. Two months later, on May 18, Rumsfeld finally resigned as special envoy. A major project on which U.S. officials worked closely with Baghdad in the mid-1980s was construction of a pipeline to transfer Iraqi oil to the West via the Jordanian port of Aqaba instead of via the Persian Gulf, which was vulnerable to Iranian attack. U.S. officials took various steps, including negotiating with Israel to guarantee the security of the proposed pipeline which would either cross or come near Israeli territory. But as this cable shows, the underlying hostility between Baghdad and Tel Aviv was so acute that U.S. efforts came close to back-firing. So sensitive was the entire subject of dealing with Israel that Saddam Hussein was reported to be "offended" by the fact that Middle East Envoy Donald Rumsfeld had even raised it at an earlier meeting with Iraqi Foreign Minister Tariq Aziz. Hussein reportedly had wanted to meet with a high-level official - Assistant Secretary of State for Near East and South Asian Affairs Richard Murphy - during a recent visit to Baghdad "to let him know the depth of Iraqi feeling about Israel." One of the key intermediaries between Baghdad and Washington in the period prior to reestablishment of diplomatic ties in November 1984 was Jordan. This cable shows King Hussein's continuing efforts on behalf of Iraq in its war with Iran and on behalf of Arab solidarity - as witnessed by his invitation to Egypt's President Hosni Mubarak to join him at a recent meeting with Saddam Hussein in Baghdad. The king tells the U.S. ambassador in Amman that the Iraqis are "very pleased" with American diplomatic support "and with their overall cooperation with the U.S."
Providing further information on the recent visit to Saddam Hussein by Jordan's King Hussein and Egypt's President Hosni Mubarak (see previous document), the Jordanian and Egyptian ambassadors to Iraq offer their views on Iraqi regional policies. They believe that Baghdad has taken a more moderate course generally and has given "active support" to the Arab-Israeli peace process. Along the way, they offer other insights into Saddam Hussein's current thinking about the Iran-Iraq War and the uneven support he is receiving from the Arab world. 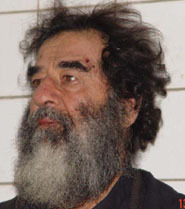 to be an accurate reflection of Saddam's own reaction." But the ambassador failed to comment on Bechtel's intention to move ahead with its $2 billion project in Iraq regardless of the provisions of the Act. "Bechtel representatives said that if economic sanctions contained in Senate Act are signed into law, Bechtel will turn to non-U.S. suppliers of technology and continue to do business in Iraq." In April 2003, Bechtel won USAID's largest grant at the time - worth up to $680 million - to help in the reconstruction of Iraq.